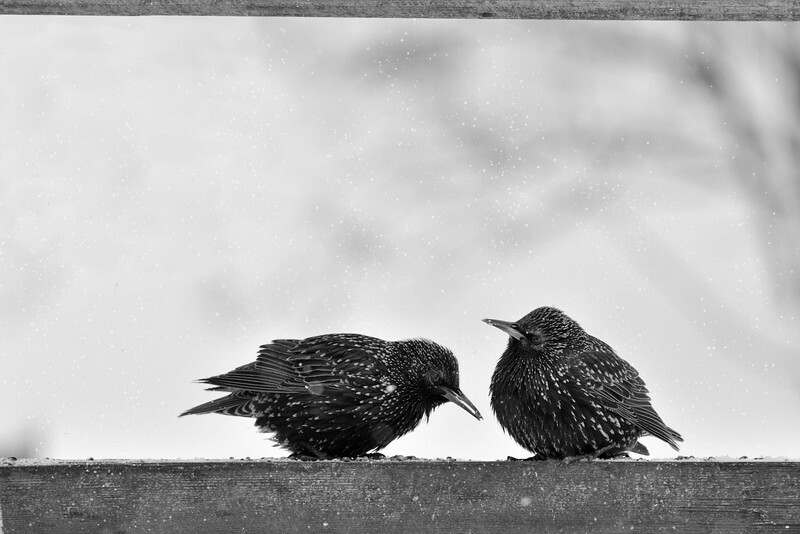 Two starling eating on fence post First brought to North America by Shakespeare enthusiasts in the nineteenth century, European Starlings are now among the continent’s most numerous songbirds. They are stocky black birds with short tails, triangular wings, and long, pointed bills. They’re sometimes resented for their abundance and aggressiveness, they’re still dazzling birds when you get a good look. Covered in white spots during winter, they turn dark and glossy in summer.